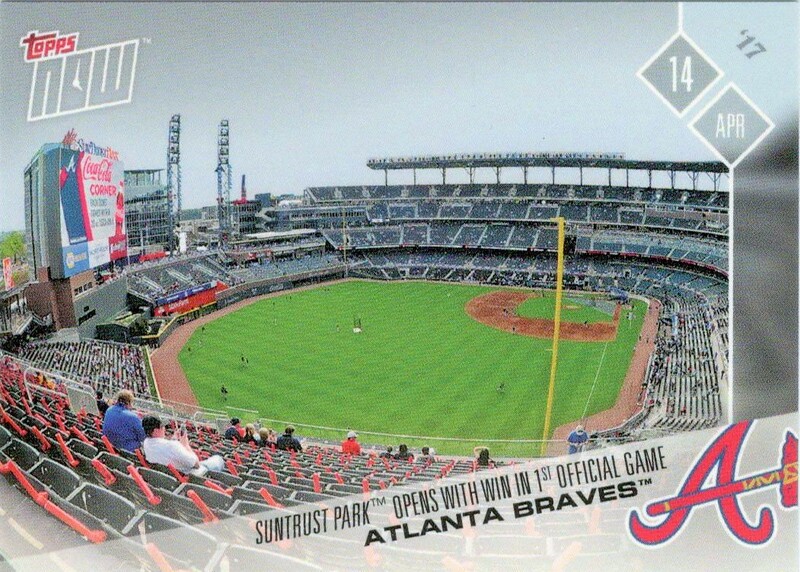 Last year the Braves opened their new home, SunTrust Park on April 14th. 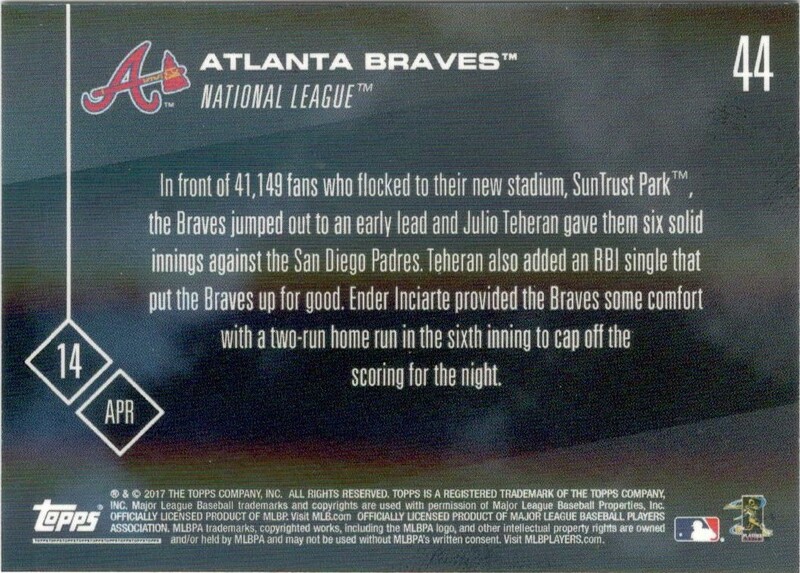 41,149 fans were in attendance as the Braves hosted the San Diego Padres. This day also saw the first home win in the new stadium as Julio Teheran tossed a good game and Ender Inciarte padded the Braves' lead late in the game. Over the weekend my wife asked me to take her back to Atlanta for a game as her birthday present. Turns out the Nationals will be in town that weekend so I'm starting to look for tickets now. Can't wait to get back as nothing beats taking in a game in person, especially at a beautiful ball park like SunTrust Park. 2018 Panini Donruss - Who Wants to Trade?